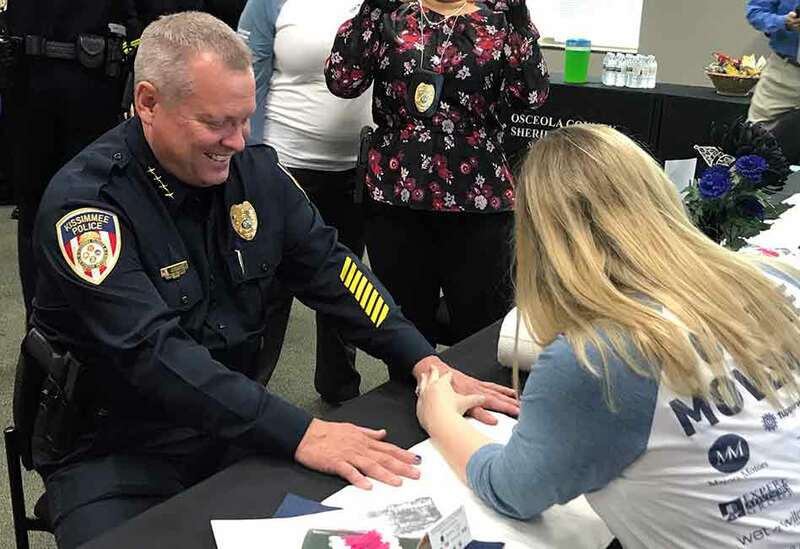 April is National Child Abuse Awareness Month and this morning, Osceola County Sheriff Russ Gibson came together with other local law enforcement, government and business supporters at the Osceola County Sheriff’s Office for a MANicure in an effort to help Embrace Families end child abuse. 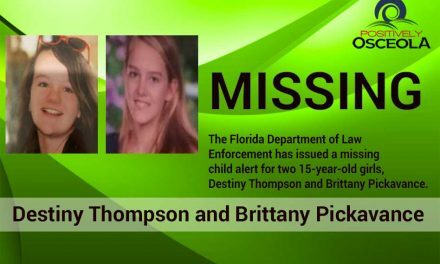 Unfortunately, ONE in FIVE children in the U.S. will experience abuse before the age of 18, and sadly FIVE children die every day as a result of child abuse or neglect. 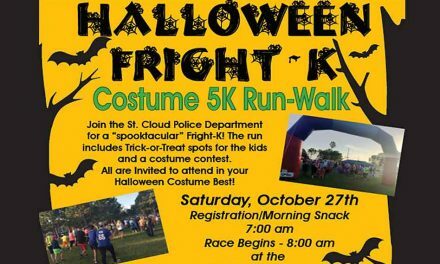 Child Abuse is a national health crisis and is an issue that needs to be talked about so that we can end child abuse and keep our children safe. 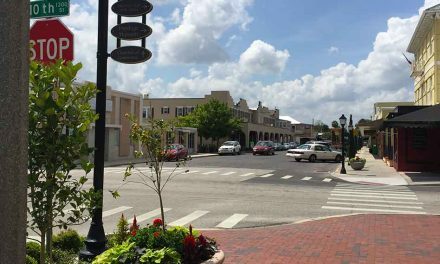 In Osceola, Orange, and Seminole counties Embrace Families is the lead nonprofit agency overseeing foster care, adoption, and other child welfare services. Its mission is to provide a safe and nurturing home for every child, free from abuse or neglect. Child Abuse is something people don’t want to talk about, so our goal at Embrace Families is to talk about it and prevent it. 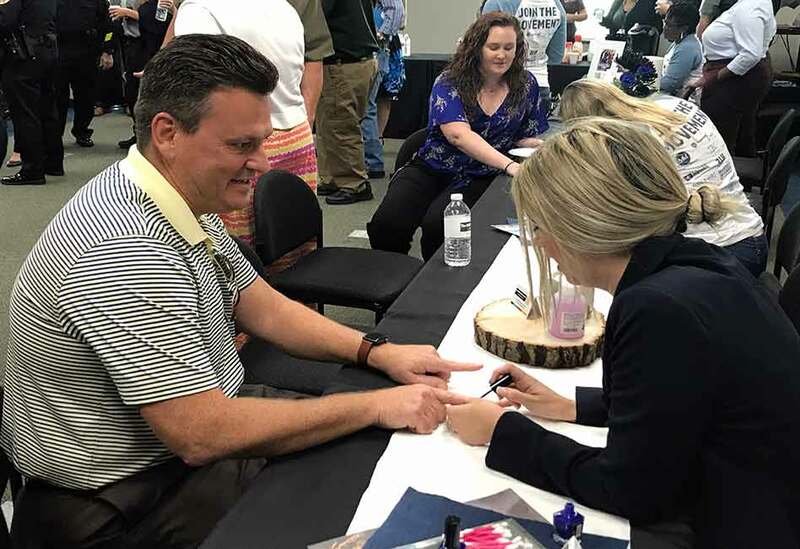 We have involved people throughout the community to help by asking them to paint their index finger blue so that it prompts a conversation and they can then share that they are helping in the efforts to end child abuse because one in five children in the United States will experience abuse before the age of 18. 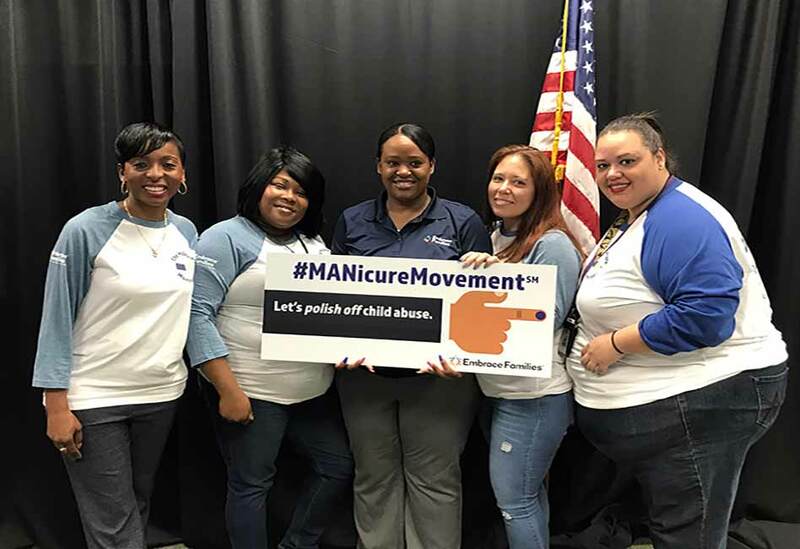 Embrace Families launched the MANicure Movement locally in 2017 to spark conversation about the public health crisis in a visual way. 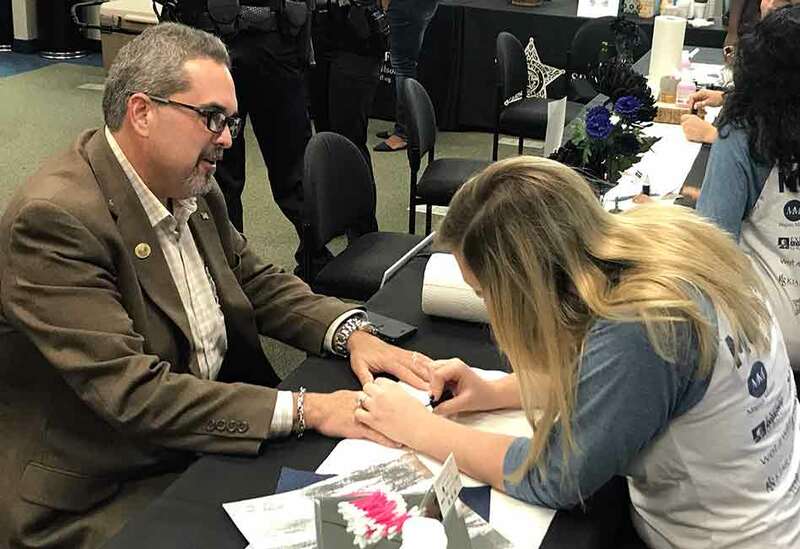 Embrace Families asked community leaders’ to paint their index fingernails in “prevention blue” to raise awareness that child abuse. Joy Chuba, Executive Director of the Children’s Advocacy Center Osceola addressed the room to educate the community on how they can take direct action to support the well-being of children, and how the CAC Osceola program helps victims and their families from the beginning of a child abuse investigation through their journey towards healing after the investigation has closed. 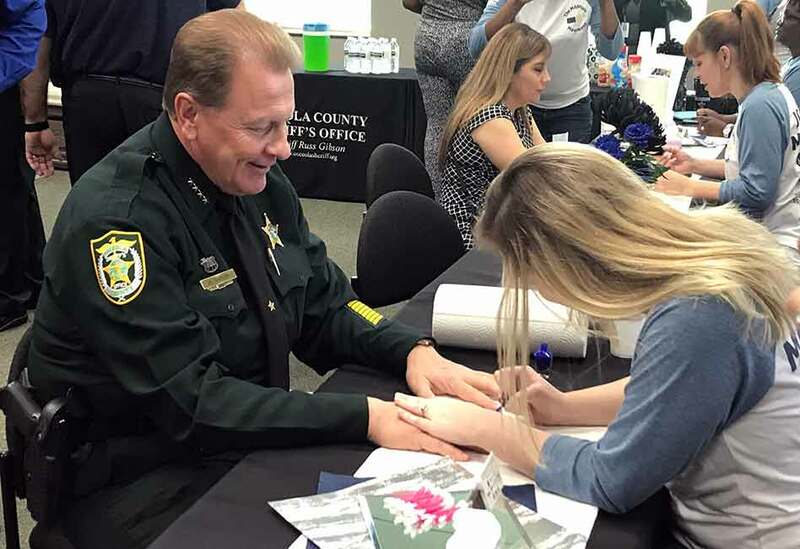 Child abuse is a preventable crime and every child deserves a safe and loving environment, and with the help from organizations like Embrace Families and Children’s Advocacy Center Osceola children are finding a positive and special place away from the abuse and neglect. 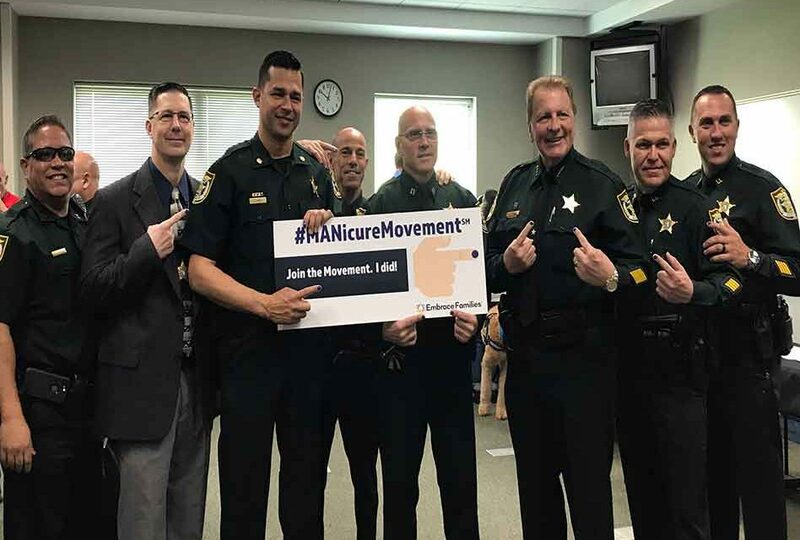 For more information please visit MANicureMovement.com.